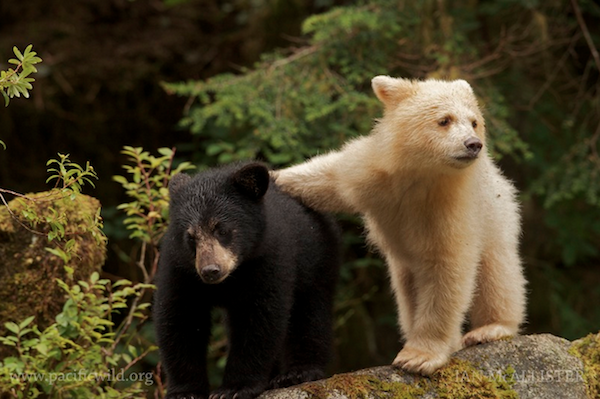 Founded by Ian and Karen McAllister, Pacific Wild is a non-profit organization that has worked in Canada’s Great Bear Rainforest and with First Nations groups in the region for over 20 years. Working together to preserve the habitat and wildlife of the region, they protect 30% of one of the world’s last and largest remaining intact temperate rainforests. We chatted with Sarah Stoner, Pacific Wild’s Director of Strategy and Development to learn more about the region and how social media has helped protect the rainforest. The Great Bear Rainforest is one of the largest remaining regions of unspoiled temperate rainforest left in the world. 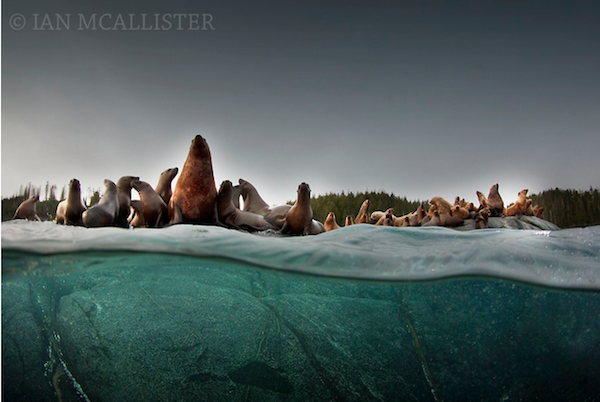 On Canada’s Pacific coast in Central and Northern British Columbia, this region has been called a global treasure for its pristine waters and globally unique marine and terrestrial biodiversity. Over two thousand runs of Pacific salmon intertwine through its ecosystem rich with wildlife, including the all-white Spirit bear, some of the world’s last wild wolves, Canada’s largest grizzly bears and endangered marine wildlife like humpback whales. This region is also home to many of BC’s First Nations cultures, whose villages still rely on traditional food practices for a significant portion of their diets. So often we hear about yet another species that is endangered because of human involvement. Success stories are few and far between. The Great Bear Rainforest is one of the few areas in the world where there has been increased numbers of humpback and fin whales over the last 10 years. This is one of a handful of success stories for endangered species, especially for marine wildlife. But 70% of the region – including all of its surrounding waters – is still unprotected and is threatened by industrial-scale development in the region. “One of the ways in which we work to achieve our mandate of conservation in the region is by educating the world and raising public awareness about why this place is such a global treasure. We’ve done that through photography, social videos, films and now remote controlled cameras that live stream the region; we calling this initiative “Great Bear LIVE.” People around the world can watch wolf pups feeding on spawning salmon, sea lions sunbathing and killer whales breeching – live from the comforts of their own home. Social media has helped us articulate and amplify our message along with this visual media connection” – Sarah Stoner, Pacific Wild. It’s hard for people living in cities or detached from global issues to understand the profoundness of the wilderness that Pacific Wild is trying to protect against industrial development. Even the team is constantly blown away by how remote and precious this diverse place is. But every time they have a moment of appreciation for this place simply existing, they share it with the world. From beautiful Instagram videos of Spirit bear cubs playing, to Facebook and Twitter updates on environmental news for the region, Pacific Wild turns to social media to share their region’s story. Luckily for them, the Canadian wilderness is globally recognized by supporters around the world – including Germans and Italians to the point that their stories are translated. Based on Denny Island, BC, Pacific Wild’s internet connection is far from high speed. This weather-dependent satellite connection means that their team has to strategize and coordinate ahead of time to streamline their social media efforts. Working together with HootSuite’s social media coaches, Pacific Wild has tightened up their team collaboration and are armed with the tools to amplify their message globally. Pacific Wild defends the wildlife and their habitat, researches and monitors the biodiversity of the region, works together with First Nations groups on protecting their home and mobilizes supporters worldwide. People can show their support by getting on their own social media channels and “liking” Pacific Wild or amplifying their message. Educating friends, family and followers about the region and the issues that are threatening are a big step to protecting the rainforest. People can also take action on particular issues (their website gives more details). Pacific Wild recently launched an Indiegogo crowdsourcing campaign to help fund an expansion of the Great Bear LIVE project. Check it out to support. Thank you Sarah Stoner and Pacific Wild for chatting with us!